›Coaching, Communication Skills, Diagnosis, Leadership Training and Development, Our Blog, Performance Reviews, Rave›Leadership Kick-Start for 2018 – New Year, New Leader: YOU! As we note every year, January sets the stage for the rest of your year. We hope you explored our December leadership habit-change ideas to get your mind set to start 2018 with energy and direction. Then, we hope you had a chance at the end of December to rest and recharge batteries with friends and family. With the arrival of the New Year, it is time to put that recaptured energy to work to improve your own productivity, and that of your team. This kickstarting mindset works well whether you are a leader of others, or just yourself! It all starts, of course, with engagement. First, you engage yourself. Maintain a high awareness of your strengths, and areas that need attention (poor leadership habits.) Make a plan that keeps you focused on your improvement commitments. Recruit a team that is signed up to help you stay the course. With them, put measurable milestones in place to track progress. Then, you engage your team. Come to agreement on what needs to change within your team culture, and agree on how you all (and each) will work towards making the needed changes. As a team, you commit together to the plan, and keep each other working on it. Full engagement, as has been well documented, leads directly to greater productivity, and better group outcomes. It feeds directly into the bottom line, as a result. You can begin to see the results in as little as 24 hours, too. Nothing gets a person working harder than the sense that his or her hard work and ideas are valued by the people around them. We can vouch for this. We have seen this dynamic play out consistently in the 30 years we have been working with people and teams to overcome productivity challenges. Understand your own motivations first – Are they aligned with your responsibilities? Examine what motivates you. What are you trying to achieve for yourself through this job? The chance for a promotion? Accolades for a job well done? The chance to explore new challenges and develop new skills? 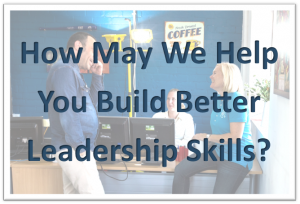 The joy of working with other people on a high-performance team? Everyone’s motivations are different, so it is important to understand your own clearly. Do they mesh with the way you manage yourself and your team? Do they mesh with the way your boss manages you? What steps can you take to properly align your internal motivators with your job and its desired outcomes? Adopt the mindset that this is your first day on a new job: Go out and meet your coworkers all over again, just as you did when you started. Recreate the onboarding process you went through when you first joined the team. Run a profound, dispassionate review of your priorities for the new year. Learn from last year! What chronic issues truly need a fresh approach? Discuss these challenges with everyone involved as part of your re-onboarding process. As the year progresses you will experience the usual shocks and obstacles to your success. Establishing a positive, passionate mindset about how to react to challenges, and practicing this mindset to start making it a habit, is a great use of your time this month. How have you created a positive frame of mind for January? How will you make the most of what too many people consider a “hangover” month? Let us know how we can help. We have a lot of experience getting leaders and their teams back on beam and moving passionately and aggressively in the right direction!